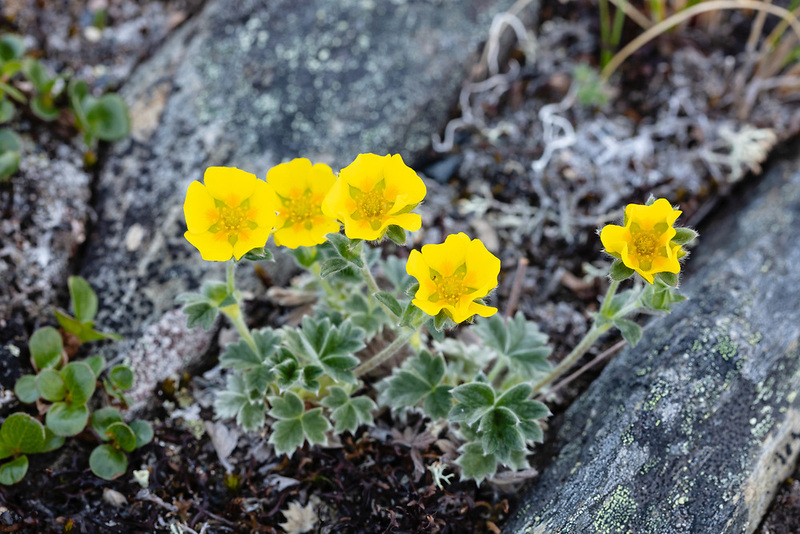 Closeup of Villous Cinquefoil (Potentilla villosa) at Thompson Pass In Southcentral Alaska. Summer. Afternoon.